God Thinking Daily Devotional: Daily Devotional November 8 - There's Plenty Of Time Isn't There? Daily Devotional November 8 - There's Plenty Of Time Isn't There? The devil is your real enemy. Yes, the devil exists and yes the devil is alive and yes the devil is powerful and has influence on mankind today, just as much as during these precious moments at the beginnings of mankind. The devil is still a liar and the devil is still trying to get you to believe anything other than what God says. God says one thing, the devil says another. Of course we who live in modernity have learned how to balance good and evil without giving up too much pleasure or relaxation, without upsetting the applecart, without having to appear to be too holy for the general public. We have learned how to balance our lives so that we can rationalize and do almost anything we want to do. We can go to church and sing and praise God and live a worldly life also as long as we are careful. We can do business any way we want to, because we have learned how to separate our Christianity from our business. We have learned how to become ecumenical instead of spiritual or spiritual instead of Christ-like. Either way, we have made it difficult for men and women to preach or teach real truth, the kind that makes you think, the kind that isn't necessarily comforting to your current lifestyle. Even the kind of preaching that reveals how wonderful and gracious and merciful God is, is masked by the need to confuse the general public into a relationship with God, built on duty or guilt. The scripture is clear on so many issues of life and we listen to the words of the enemy instead. It seems hopeless to fight, when satan and his emissaries have so much power. After all if satan tricked Eve, then what hope is there that I won't also be tricked? And so what if I'm dabbling with a little evil. Everybody is human. You can't live perfect anyway, so why not work it out so that you can appear to be holier than you really are. What's the problem with that? Nobody knows, so nobody gets hurt. The reason that this mind-set doesn't work is because it is built on a false premise. What God says is true. What satan says is a lie. What God says makes one wise. What satan says makes one foolish. What God says makes one alive. What satan says makes one dead. What satan says also works but not to a desired end. What God says brings to pass all that is perfect for you, now and forever. What satan says brings to pass all that is vain, and mean, and ugly and disgusting, and short lived. What God says to you might hurt your feelings and might disrupt your comfort zone, and open your eyes to a better life. What satan says to you will destroy you and your children, your parents and your friends, your business and your dreams. You will be in this battle until you die. But don't think that if you aren't interested in the things of God here, (on this side of heaven) that when you die you will somehow be interested in the things of God there. It's not true. 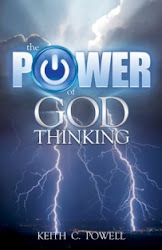 Maybe you should re-evaluate what you think while the opportunity to think on the things of God are still available. But don't be surprised if you also hear a voice saying, "you've got plenty of time to change your mind/ye shall not surely die." Daily Devotional November 21 - What Seek Ye?